BILLINGS, Montana - The National League Cincinnati Reds have announced that Ray Martinez will return as field manager of the Billings Mustangs for the 2017 season. Martinez guided the Mustangs to a 41-34 (.547) regular season record in 2016 and an appearance in the Pioneer League Championship Series. Joining Martinez in Billings is pitching coach Seth Etherton, hitting coach Orlando Merced, bullpen coach Chad Cordero, athletic trainer Jesse Guffey, athletic trainer Ryan Ross and strength / conditioning coach Alex Puskarich. Etherton and Guffey were also members of the 2016 coaching staff. "We're thrilled that Ray will be managing the team again this season," said Gary Roller, Mustangs General Manager. "Ray had a solid season as our first-year manager in '16, and expect that he will build on that this summer. Ray is prepared, diligent and professional, both in attitude and in his approach to the game. We're confident not only in his individual abilities from a leadership and development standpoint, but the abilities of rest of the coaching staff as well." Martinez, 48, enters his seventh season in the Cincinnati organization. He spent the 2015 season as the manager for the Rookie AZL Reds and previously served as the hitting coach for the Class-A Bakersfield Blaze (2013, 2014), Billings Mustangs (2012) and the AZL Reds (2011). "The Reds are excited for Ray Martinez to return to Billings for another successful campaign in 2017," noted Reds Director of Player Development Jeff Graupe. "He will again be joined by pitching coach Seth Etherton, one of the best young pitching coaches in baseball, and newly hired Orlando Merced as hitting coach. 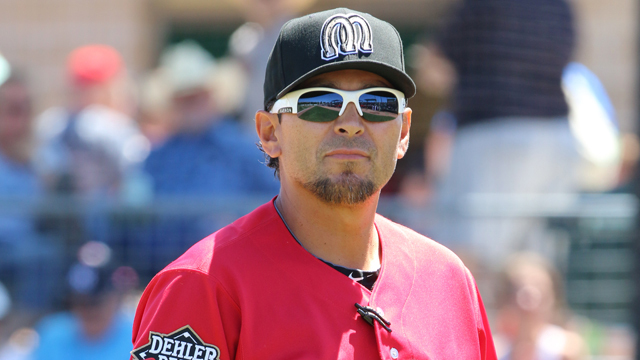 We are very excited for former MLB All-Star closer Chad Cordero to get his career started as the bullpen coach." A former infielder, Martinez played in parts of 18 professional seasons, including stints in the California Angels, Montreal Expos, Florida Marlins, Cleveland Indians, New York Mets, Pittsburgh Pirates and San Diego Padres organizations. He was selected by California in the 7th round of the 1987 draft and played in more than 1,500 minor league games. The 2017 season marks the 65th season that the Mustangs franchise has called Billings home and the 44th consecutive season that the club has served as the rookie affiliate of the Cincinnati Reds. The partnership between the Mustangs and Reds, which began in 1974, is the longest running affiliation in the Pioneer League and one of the longest in all of professional baseball. The Mustangs open the '17 campaign at Dehler Park on Monday, June 19 when they play host to the Missoula Osprey in the first game of a 4-game series. Game time for Opening Day is set for 7:05 pm. For ticket information, including full-season and partial-season plans, call the Mustangs at (406) 252-1241 or email mustangs@billingsmustangs.com. Check out billingsmustangs.com and tune in to Mustangs social media for updates and information on tickets, promotions and more for the 2017 season.